Over the past few weeks I’ve had so many ideas for letter writing, and have also seen several great ideas in blog posts and articles on the web. 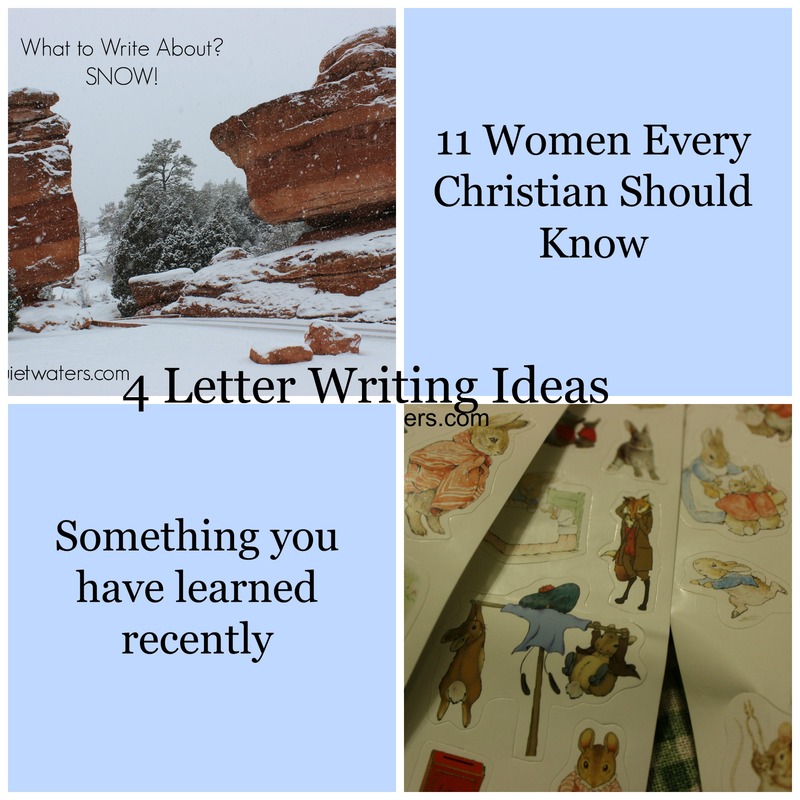 Here are 4 letter writing ideas for inspiring and encouraging your sponsored children, today. Use any of these ideas to write to your sponsored child today. 1. Eleven Women Every Christian Should Know is an article written by Asheritah Ciuciu from the blog OneThingAlone.com I think the information in this article is wonderful for inspiring and stimulating the imagination of our sponsored children, especially the girls. 2. A letter about Beatrix Potter, along with one of her stories. 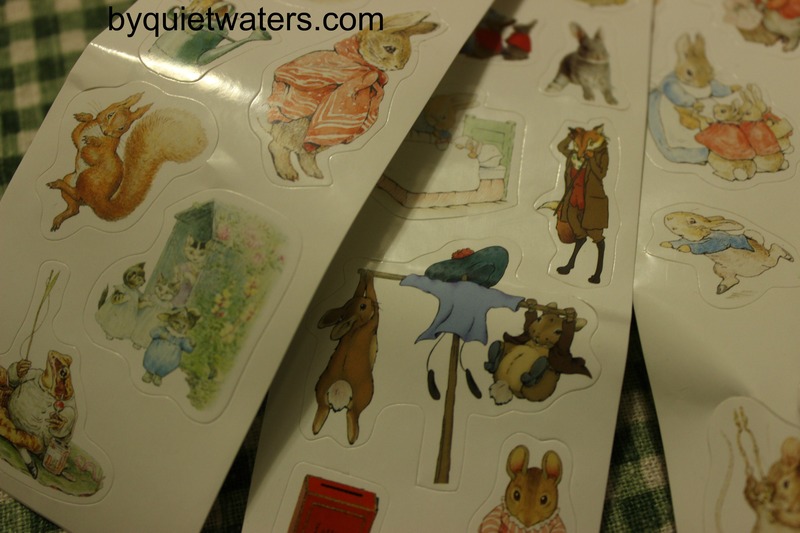 In January I was cleaning out our game/craft closet and found a little bundle of stickers with Peter Rabbit and other Beatrix Potter characters. After a little searching I found the stories on the Project Gutenberg website, and printed two of the stories. I am going to use information from biography.com to write the kids, and include a copy of one of her stories with some of the stickers. Maybe you don’t have the stickers, but a letter with a story attached will be a real treat to your sponsored children. 3. The weather! Yes, how about writing about the weather you are having in your area? Include some nature and scientific information and enlarge the child’s understanding of weather in the world. 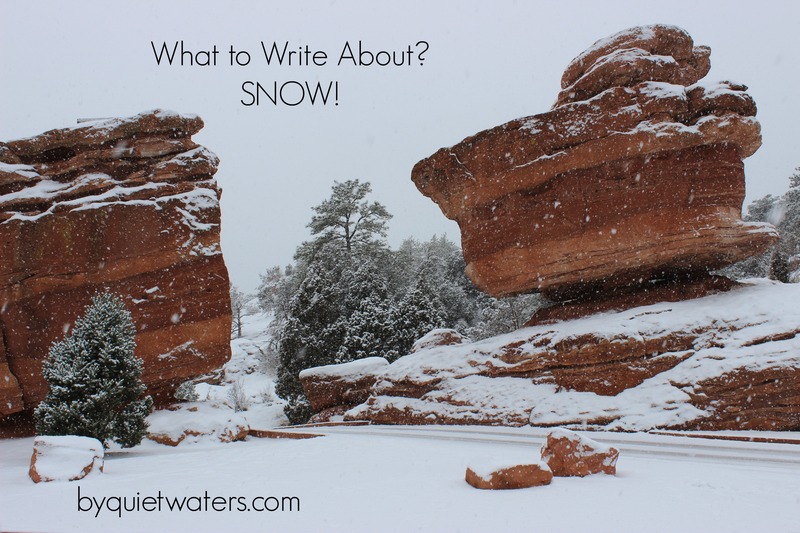 In January I wrote about snow and had so much fun including some info about Snowflake Bentley. Attached to those letters were some photographs of snow in Garden of the Gods. 4. Something you have learned recently. Inspire your sponsored children to pursue learning as a way of life, by sharing things that you are learning. Right now I am doing a Lent study by the She Reads Truth team. In an upcoming letter I will be sharing something I have discovered in the first days of that study. It is my belief that by writing to the children in this way, that the child’s mind has the opportunity to gain a greater scope for the imagination. We have a wonderful privilege and responsibility in writing to our sponsored children. Think of it, we not only have the opportunity to invest in the lives of the future generation in our own families and communities, but also to invest in the lives of the future generations across the world. Just as I have desired and sought to inspire my children to pursue curiosity, beauty, and excellence, I am hoping to do the same with our sponsored children. 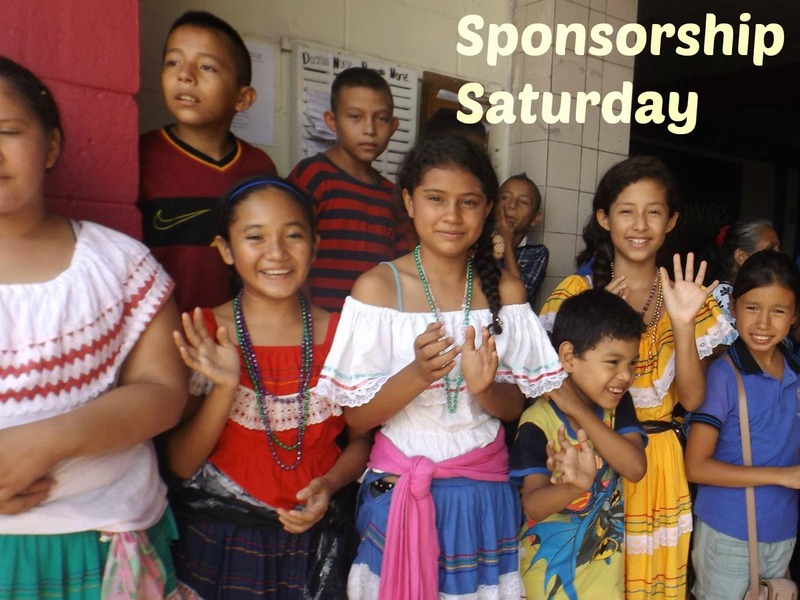 Please, in the comments, share your ideas for writing to our sponsored children! These are all such great ideas! I usually draw a blank when it comes to writing letters to my sponsored children, so I’ll definitely bookmark this page and come back to it. Thanks for the shout-out! Asheritah, so good to see you here. I loved the article, and really think it will make for some inspiring, encouraging letters! Glad to swap idea with you. Such great ideas!! Thanks for the link on the first one. I love sharing men and women of faith stories with my kids and I’ll save that for future letters! !